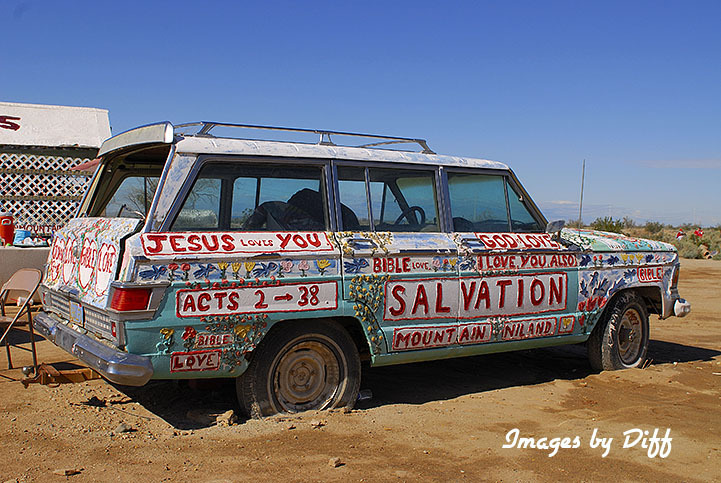 click photo to enlarge Salvation Mountain is located in Imperial County near the town of Niland CA. The mountain is Leonard Knights creation out of adobe, straw and paint and is his monument to God. Leonard wants everybody to know that "God is Love". 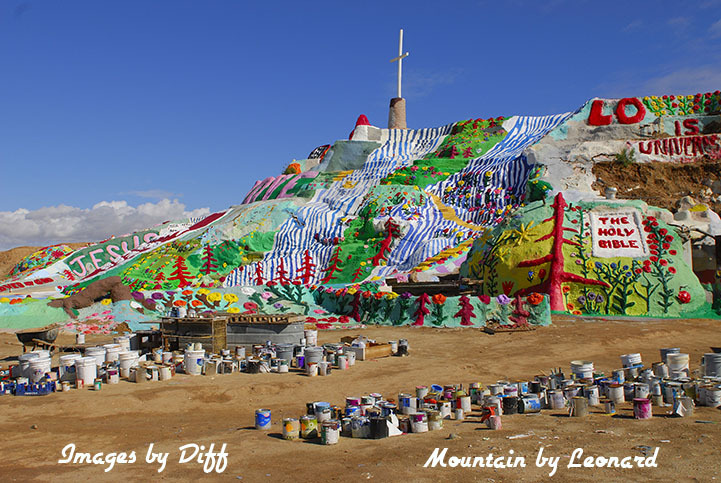 Leonard has been working on his mountain for almost 30 years. He is always happy to see you and welcome you. He always offers a personal tour. 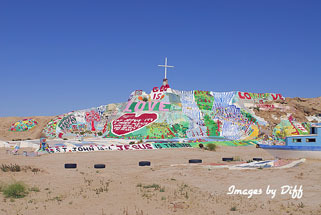 click photo to enlarge Everything around Salvation Mountain is painted with bright colorful paint and messages of love. 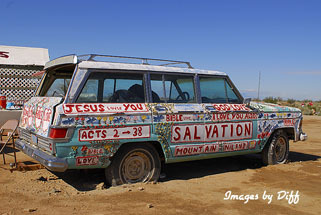 We have been to Salvation Mountain a few times now and every time we are reminded of what a nice, gentle giving person Leonard is. click photo to enlarge The Mountain is not his first. 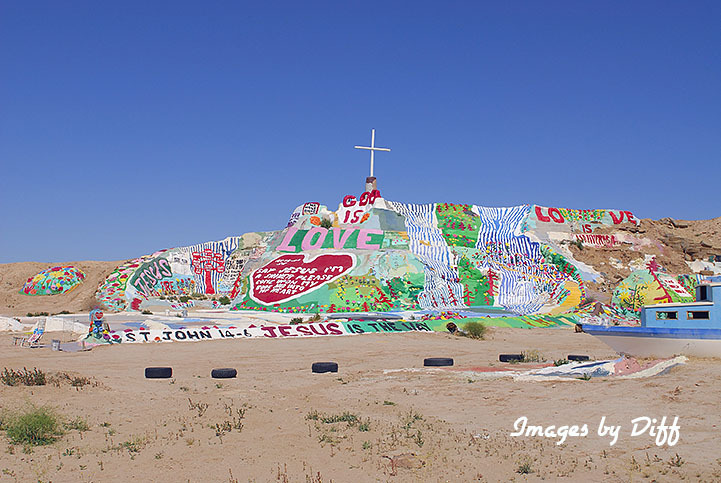 After about 4 years of building and painting Leonard's first mountain collapsed is a pile of rubble. 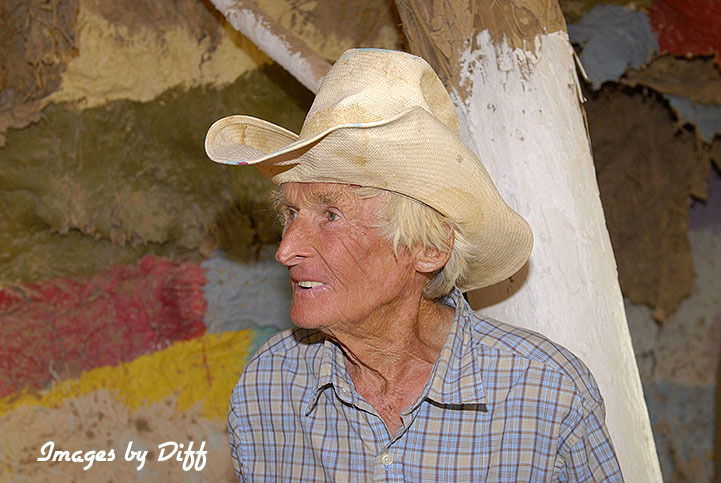 He built his second mountain a bit differently and it has endured now for over 25 years. Leonard has no running water, electricity or phone service. 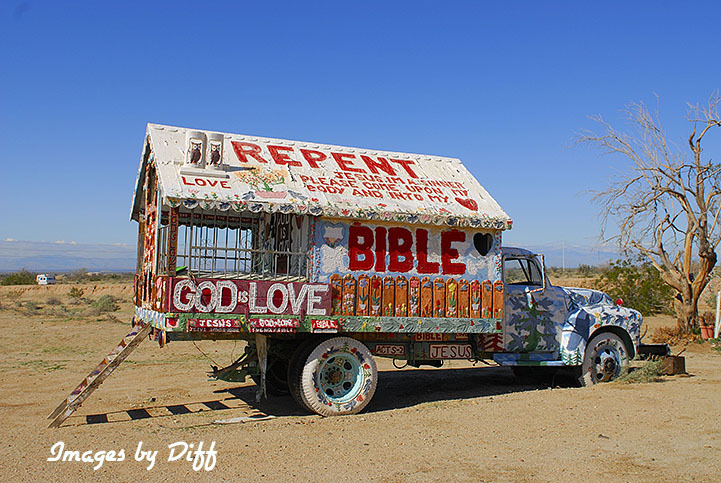 He is completely off the grid. When you visit Leonard he likes to give you something, a post card, a picture, a refrigerator magnet.. whatever he happens to have. We typically like to give him some food along with a donation.